Providence Crossing is a neighborhood located in Buford Georgia. Consisting of 184 traditional styled 1800-2500 sq/ft homes, many featuring brick or stacked stone accents it appeals to those looking for a smaller subdivision with the same amenities as many larger neighborhoods. 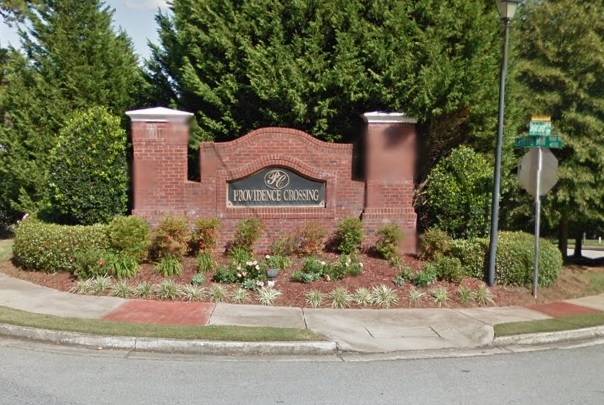 Providence Crossing is on Little Mill Road between Suwanee Dam Road and Peachtree Industrial Boulevard making it convenient to both I-985 and I-85. The neighborhood is less than one mile from Lake Lanier. Providence Crossing is a newer subdivision offering a community pool, tennis courts, sidewalks, underground utilities, and street lights throughout. Providence Crossing is served by the Gwinnett County School System. Lanier High, Lanier Middle, and White Oak Elementary are the schools zoned for this community. The homes available for sale in Providence Crossing Subdivision are listed below.